Insulation under your concrete floor provides protection from the cold below and helps keep heat in. Holdfast carries multiple solutions in various thicknesses, sizes, shapes and styles to best fit your specific needs. NUDURA's innovation continues with HYDROFOAM®. Installation is fast and easy compared to traditional foam insulation which requires multiple steps to run radiant heat piping. The 4’ x 4’ (1.2 m x 1.2 m) boards, available in two thickness, are easily installed with an overlapping interlock on all four sides, ensuring the boards are locked in place during installation. HYDROFOAM® utilizes a 360° multi-directional friction fit anchor system that eliminates the need for wire mesh. Radiant heat piping is easily stepped into place in any direction required. 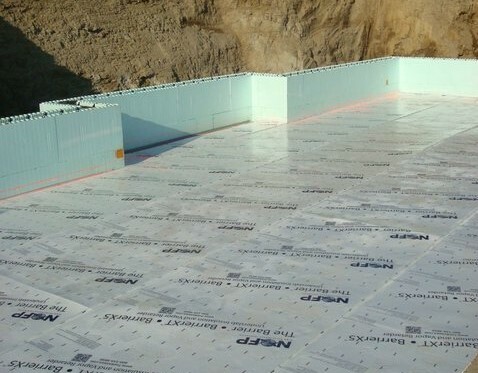 The Barrier™ product family is a high-performance EPS foam underslab insulator and vapor retarder, designed to insulate and retard moisture migration through concrete. The core of the Barrier™ roll products is made of flexible, recycled expanded polystyrene that provides the excellent insulation characteristics. This unique core has vapor retarding film laminated to both sides as well as a patented self-taping edge and overlapping flange to make the entire installation seam-free. XBoard™ provides similar characteristics in a high density rigid sheet format for even higher heat stopping power. High-performance insulation values, cost-saving installation, and unequaled flexibility makes The Barrier™ / BarrierXT® / BarrierX5® / BarrierHL™ & XBoard™ the most effective underslab insulators and vapor retarders in today’s market! Holdfast has the ability to provide custom EPS foam cut to the size and thickness you need for those instance where other options aren't suffiencent. 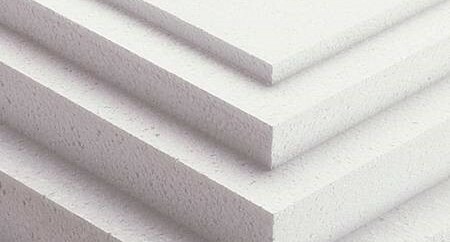 Used for additional underslab or wall insulation, custom EPS foam can provide a taylored fit for your project. Available in different densities, thicknesses, and sizes (up to 4' x 16'), we can provide the material that fits your project. Due to the custom nature of this product, lead times do apply.